The European Central Bank should meet the same demands as the Commission when it comes to lobbyists in its advisory structure, insists the Corporate Europe Observatory. Kenneth Haar is a researcher at Corporate Europe Observatory (CEO), a Brussels-based NGO that challenges the influence of big business and business lobby groups in EU policymaking. The way the European Parliament and the Commission deal with lobbyists has been heavily debated for many years, and there are tangible outcomes to prove it – the Transparency Register of lobbyists for example. But what about the lobby links of the European Central Bank (ECB)? On Friday, the European Central Bank showed once again that it considers itself to be above the EU transparency rules other institutions have to respect. President Mario Draghi indicated the bank could pretty much define its own standards and guidelines when associating with lobbyists. Responding to a letter by 40 Members of the European Parliament (MEPs) about the ECB’s advisory groups, Draghi, astonishingly, brushed off any concerns. The parliamentarians were worried about the dominance of private financial institutions in the ECB advisory groups, which a Corporate Europe Observatory report revealed in October 2017. 98 per cent of ECB advisory group members, who provide direct advice to the bank’s decision-makers, represent private financial institutions, including a large number of banks supervised by the ECB. Almost half of all institutions in the advisory groups have not even bothered to join the EU Transparency Register. To put this in perspective: one conclusion from the financial crisis was that financial sector lobbying had led to ‘regulatory capture’ and that precautionary measures were vital to safeguard the public interest in the future. 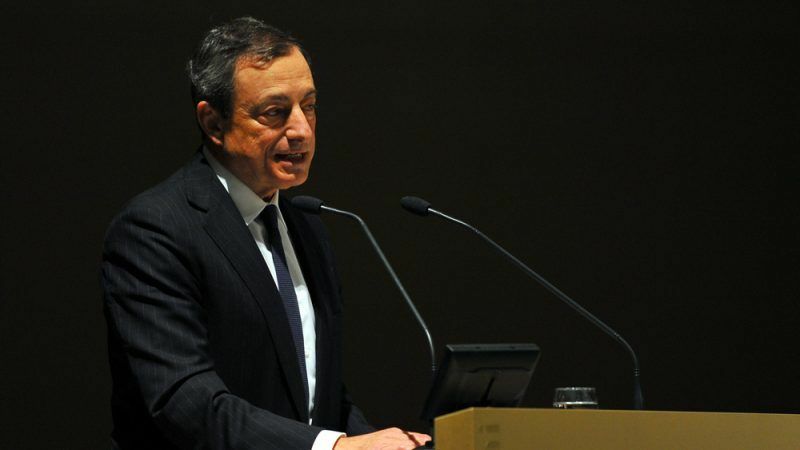 So, in the opinion of Mr. Draghi, what is it that makes the ECB case so special that no steps for greater are necessary? He has provided three reasons to the inquiring MEPs: Firstly, he argues that the advisory groups are of a “merely information-gathering nature” and do not deal with any issues relating to political initiatives of the bank. Secondly, the advisory groups are, according to Draghi, focused on the ECB’s ‘central banking mandate’, not its banking supervision. And thirdly, Draghi reasons that the ECB is consulting “with a wide range of stakeholders”. None of these claims, however, have any basis in reality. Advisory groups to the ECB do in fact often discuss highly sensitive political issues, including banking regulation and Brexit, and their debates are often linked directly to imminent policy initiatives, such as the ECB response to recurrent financial scandals. Requirements for banks that relate directly to banking supervision also pop up as an issue now and then, despite the rather obvious conflict of interest concerning advisory group members from the very banks the ECB supervises. Draghi’s point regarding balanced stakeholder consultation does also not stand up to scrutiny; the ECB shows no inclination to ask anyone other than the private financial sector for advice. The ECB President’s letter to the MEPs argues that his bank consults, for instance, with academics, but among the 517 advisers Corporate Europe Observatory identified last October, not a single one can be considered an independent academic. Untouched by many of the public debates and concerns around lobbyists in Brussels, the ECB seems to lead a secluded, unconcerned existence. In Draghi’s view of the world, bankers and fund managers neatly park their vested interests in the cloakroom when entering the ECB building. The President and the ECB leadership are quite immune to the idea that an advisory group full of representatives from the biggest banks in Europe may offer incomplete or partial information on the ramifications of certain policy measures. This ignorance – or perhaps habit – is not only reprehensible, it is outright dangerous, bearing in mind the ECB’s recently expanded role in banking supervision and the risk of ‘regulatory capture’ that has cost us all so dearly in the past. What needs to be done is straight forward: we must make the same demands on the ECB as we do on the European Commission. The European Parliament has published its own recommendations for the Commission’s ‘expert groups’ – these need to apply to the ECB as well. For a start, these entail rules that put a stop to corporate dominance in advisory groups and require any advisor’s employer to sign up to the EU Transparency Register. Given the particular role of the ECB, there should also be a clearly defined arms-length principle to avoid undue influencing by big banks. We need the 40 EU parliamentarians to take this forward.